Kawasaki Versys 650 prices start at Rs. 6.69 lakh (Ex-Showroom). 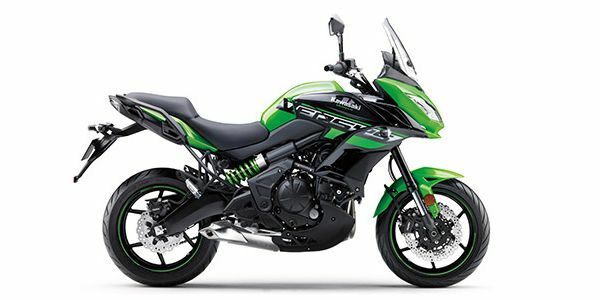 Kawasaki Versys 650 is available in 1 variants and 1 colours. The claimed ARAI mileage for the Kawasaki Versys 650 petrol is 21 kmpl. The Kawasaki Versys 650 is an adventure motorcycle based on the Ninja 650 which has been on sale in India. It is also the first CKD Kawasaki bike to get ABS as standard fitment. Q. I want to buy a good adventure motorcycle my budget is 20 to 22 lakh but I am confused should I go for 1 bike which would cost me around 20L like the Tiger or Africa Twin or should I go for two mid size adventure bikes like a Versys 650 and a V-Strom 650 which would both come under my budget? Q. My height 5.3 ft, will it be comfortable me? We would suggest you to take a test ride of the bike as it is the best way to judge your riding comfort. Same displacement, same genre, but which bike makes better sense?